The Chromecast Audio is also now only $25 at Best Buy and their eBay store. The Chromecast Audio is a great little device, allowing you to stream supported content to any speaker (or anything else really) with audio input. I myself bought one fairly recently, so I could turn my old iPod dock into a WiFi speaker. Google today dropped the price of the Chromecast Audio down to $25, a whopping $10 lower than the original price. 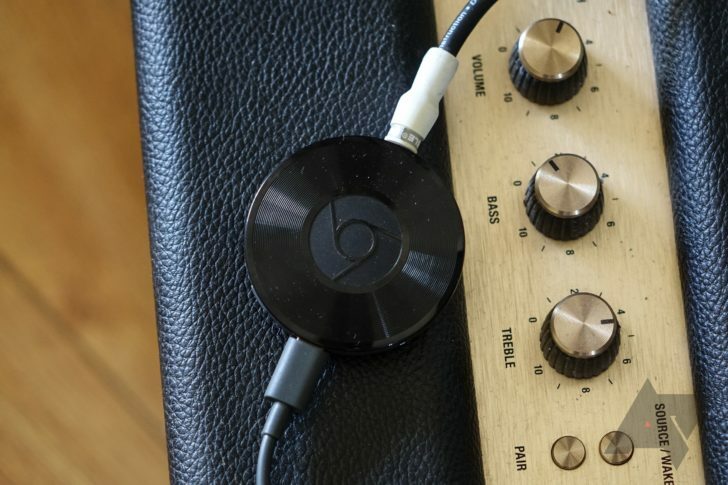 There is no sign of a Chromecast Audio replacement being announced at Google's upcoming October 4th event, so you don't have to worry about buying a soon-to-be-discontinued device. Unfortunately, the RCA and optical cable adapters are still at $15 each, but you do get a standard 3.5mm cable in the box. Click the source link below to see the store page, and if you're on the fence about buying one, check out our Chromecast Audio review.